Seborrhoeic dermatitis. 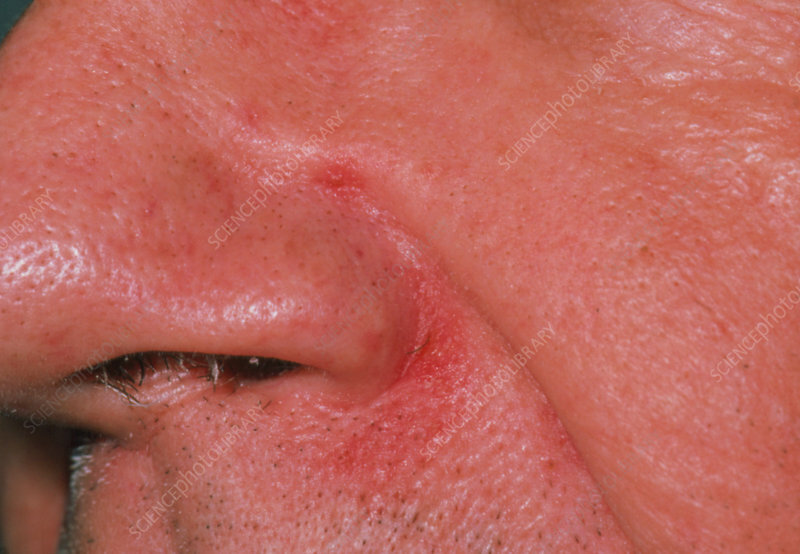 Close-up of the nose of a patient affected by seborrhoeic dermatitis at its base. This is a red, scaly itchy rash which may develop on the face, scalp, chest and back. The rash often arises during times of stress, but its exact cause remains unknown. Corticosteroid drugs and drugs to kill microorganisms are usually prescribed. It is important to avoid scratching the affected area and to expose it to irritating substances.